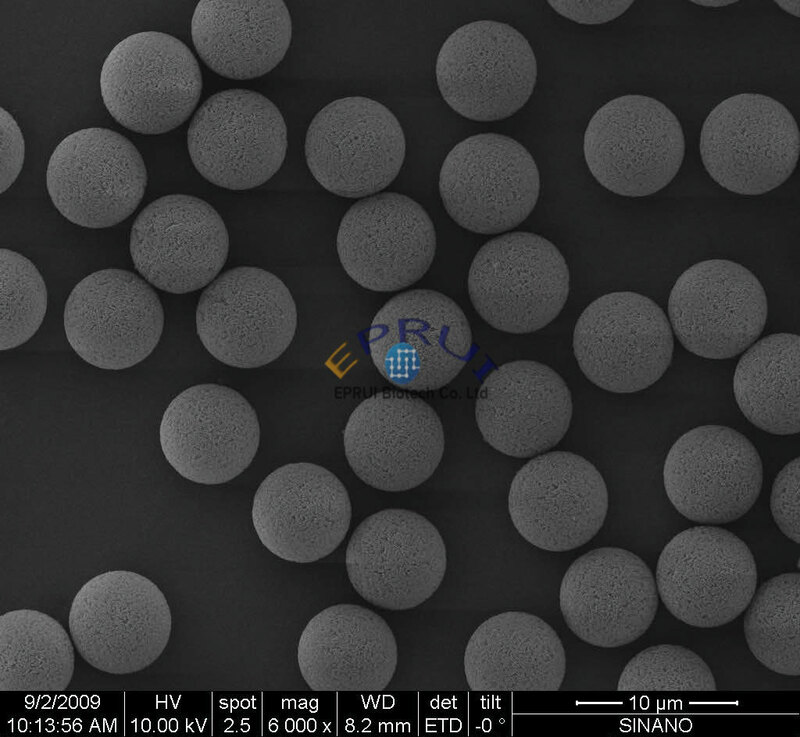 Porous PS/DVB microspheres are PS/DVB microspheres with nanometer pores on the surface. It is widely used in the industries of organic wastewater treatment, drug separation and purification, catalyst carrier and HPLC packing field. Biological macromolecules, such as protein, nucleic acid and sugar, have their own unique physical and chemical properties, and can be separated and concentrated in aqueous solutions according to their unique physical and chemical properties. Gel permeation chromatography (GPC) is the most successful example of gel particles above micron scale. Through hydrophobic association and electrostatic interaction, submicron polymer microspheres can also be used for protein purification. By covalently binding the affinity ligands on the carrier microspheres, the affinity carrier microspheres are filled in the chromatographic column, and the mixture is passed through the chromatographic column based on the principle of specific affinity.